The current focus in our school system is a single-minded drive to improve educational attainment. Yet education is much more than a mechanistic process, which achieves its highest state with the maximisation of academic performance. Exam success is a necessary but not a sufficient condition for being an educated human being. 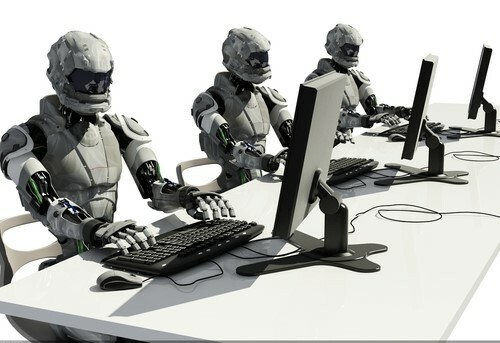 As human beings, we are not machines but flesh and blood, with capacious minds, with bodies and emotions. We are organisms and our current mechanistic model of the purpose of education fails to rise to the heights and wonders of the organic model that young people across the land cry out for, as do their parents. It is not enough for young people to emerge from school with a string of exam passes and for schools to pat themselves on the back, thinking that the box has been ticked and the ‘job done’. This is only a part of the whole education journey. Families have a key role in the development of the finished product. So too do schools. Academic attainment and exam success can never be more than part of the story of the profound moral responsibility of schools to children, parents, society and the nation. I would argue that schools that make children and their parents believe that exams are all-important are cynical and negligent. Worse, they are ignorant, because school provides a once-in-a-lifetime opportunity. That opportunity is all the more precious when young people come from disadvantaged home backgrounds, which do not provide the same chances for enrichment as those from more affluent backgrounds. The work of education, as the linguistic root suggests, is to ‘lead out’. Schools need to lead or draw out of young people all their talents and aptitudes. We cannot and must not define this task purely in terms of academic success. Not the least because a focus on mere academic success often drains the lifeblood out of academic subjects, creating heavy and dull minds. As a former headmaster and now the vice-chancellor of The University of Buckingham, I know that what is not ‘led out’ of young people, what is not nurtured by the age of 16 or 18, may remain dormant in those individuals for the rest of their lives. The lead up to World Values Day on 19 October provides a great opportunity to ask, “Who am I and who do I want to be?” – and if you are in education – to encourage students to establish their own core values that will help them do and be their very best. Education is about ‘drawing out’ the wealth of different qualities and intelligences from our young citizens. At the heart of this is the development of good character. Effective schooling is not just about trying to maximise the exam performance of our students but rather seeking to maximise the chances of our young leading happy, successful and healthy lives. They want to be prepared for the university of life, for work, for family life and for society, with curious, disciplined and appreciative minds. A focus merely on exams can all too easily lead to closed minds and leave the heart cold. A focus on character seeks to open up hearts and minds. The development of good character is more important than exam success because good character strengths are a greater predictor of success in the university of life than mere exam passes – and it is not at the expense of academic work. An emphasis on character makes academic learning more profound and also boosts exam success. Probe beneath surface learning to the depths of subjects, because they will be more reflective people. World Values Day provides a global celebration of the empowering effects of values, which, when coupled with the explicit development of character strengths and wellbeing, contribute to a variety of positive life outcomes. 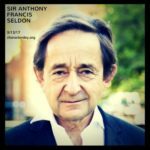 Sir Anthony Seldon is a political historian and commentator on British political leadership as well as on education and contemporary Britain. He is Vice-Chancellor of the University of Buckingham. He was previously the 13th Master (headmaster) of Wellington College, one of the UK’s most famous schools. He is also author or editor of some 40+ books.